Work has begun inside, and not much looks different outside, yet we have some new photos of the house from the owner. There is some house wrap missing on this side, so still some catching up to do before the cladding goes on. 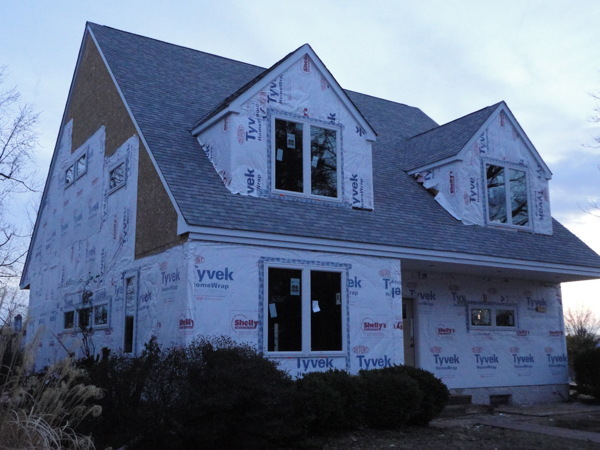 The finish will be stucco. Click through for a photo browser of the new pictures.